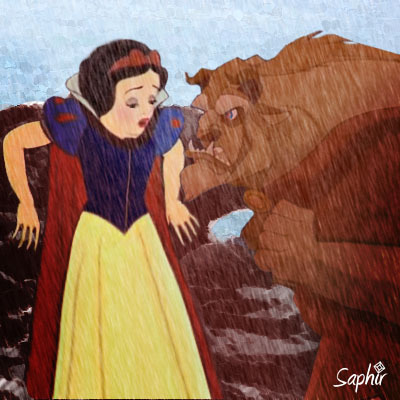 Snow white and the Beast. . Wallpaper and background images in the Кроссовер диснеевских персонажей club tagged: crossover disney beauty and the beast snow white saphir.